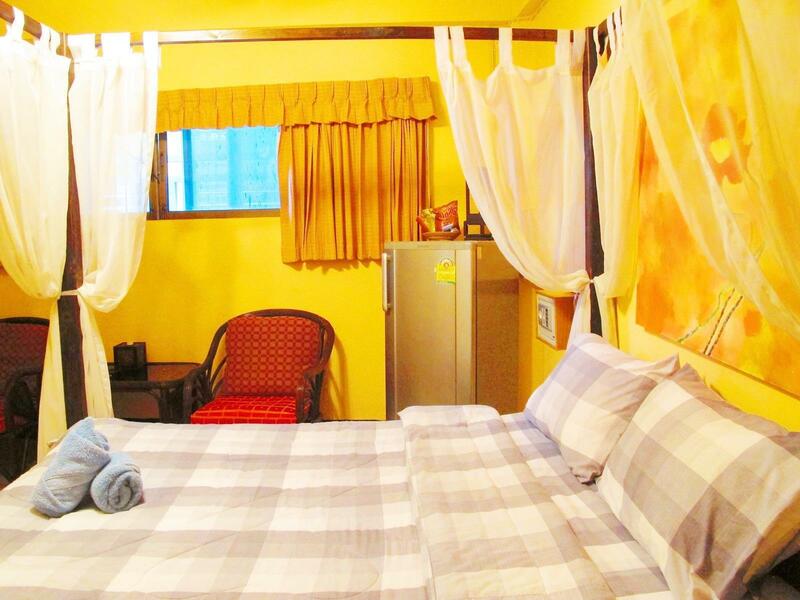 ﻿ Nicky's Guesthouse, Pattaya - SAVE ON AGODA! Have a question for Nicky's Guesthouse? "Great food and drink available in the restaurant / bar area"
"Large swimming pool and good breakfast"
"The food in the restaurant is wonderful." "T rooms are comfortable and well equipped." The 11-bedroom guesthouse in Central Pattaya, Pattaya is situated 620 m away from the beach, so you can plan the ideal beach getaway. This guesthouse is near International Gym, Golden Gym, Communications Authority of Thailand, K Driving School, and Soi Buakhao Market. With safety deposit boxes and a smoking area, it offers numerous convenient features to make your stay more comfortable. It features a bar, restaurants on-site, and room service, so there is a range of dining and snacking choices. There's free Wi-Fi in all rooms, as well as Wi-Fi in common areas, so you don't have to spend money on a local sim card while on vacation. 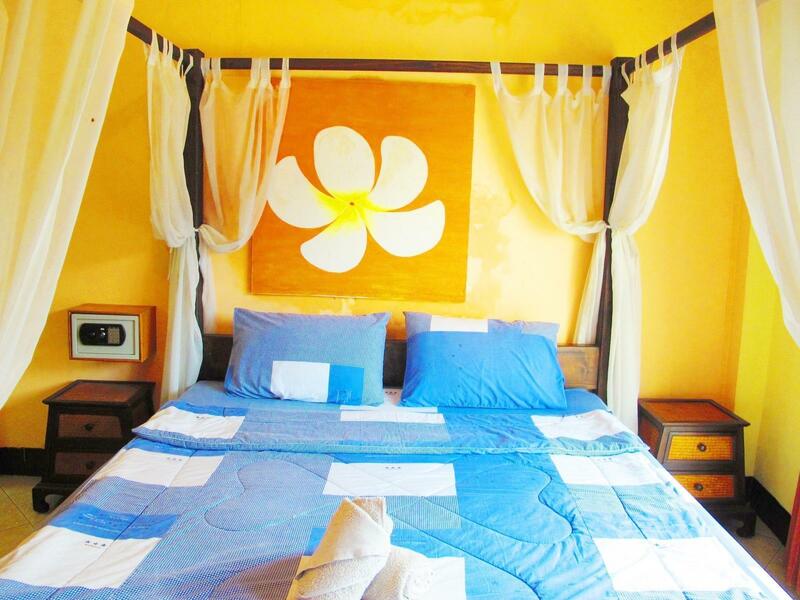 This guesthouse provides a range of useful services, such as daily housekeeping and laundry services. All of the rooms have air conditioning, a seating area, a shower, a refrigerator, and a TV. This Pattaya guesthouse offers check-in from 02:00 PM and check-out until 12:00 PM. Bus Terminal is 3.3 km away and Pattaya Railway Station is 3.3 km away. The nearest airports are Utapao International Airport (UTP) and Suvarnabhumi International Airport (BKK), which are located 29.6 km and 86.1 km away. "Both the management (David and Debbie) and the staff make yo..."
Please note that there’s a charge of 100 THB per person for guests who use the hotel's swimming pool. Shuttle service is available at the property. Kindly contact the property for more details. I had a nice large room with a 4 poster bed. The staff were friendly and welcoming. The bed was quite hard. When I tried to have a shower in the morning there was no hot water. The full English breakfast was very good and reasonably priced at 165 Baht. I also had the gammon egg and chips the evening before which was also very good and very filling. a truely awfull place. where do i start. filthy bed, smelly old, pee stains and god knows what fridge had not been cleaned in years, blood in fridge. no wifi in rooms dark dingy upstairs, we were only people stay here and it was just dark dingy old and creepy i have absolutely zilch to say about this hellhole, the land lady is a englsih woman and i didnt want hurt her business but no excuse for not cleaning and taking money off guests for a filthy room, no excuse for this terrible crappy hole. please check about you will get a nice place near here for less. over 17 years in pattya and this is worst ive been to !! We stay only 2 hours because one rooms smelt cigarette and was not clean. So we find another hôtel. There is no WIFI Internet in the rooms. The Bed is not comfortably. I felt welcome from the moment I arrived. They treated you like a long lost friend coming back. The hotel in itself is quiet and when there was a problem with the shower they would fix it as we spoke. Good food and drink. We stayed here for over a week. Worst decision ever. Room was dark and grungy. Bed was so soft I think the springs rusted away a decade ago. I am not a room snob, but I have paid a lot less on the same road and the room has been a lot nicer. The room also had black mold so stay away if you have allergies or are sensitive or purely dont want black mold on your lungs like I now do. Room smelt almost chemically whenever we went in. Only in the bar below even though they state they have it in their rooms. Shower holder was too high and did a very good job of washing the windows. Girls in the bar below are surly and unfriendly. Handing in the key every time I want to go out, even just to the shop across the road was annoying. Not close to shops or anywhere to get food. In a dead zone. Breakfast is good, but really not worth the trek here. In over 10 years of constant visits to Pattaya (i have family here) and a plethora of hotels, guesthouses and apartments we have stayed at, this is hands down the worst. Hands down. Go anywhere else.You have easy access to shops and food. Just dont waste your money. Not a good stay would never go back. The rooms were old and smelly with the most uncomfortable bed I have ever laid in. No wifi in room but worked good down stairs. Only a trickle of water out of the shower. The food in the restaurant was fantastic and lots of food and bars close by. Location, great bar, restaurants nearby. It's fair value for the money you pay. It was a bit loud in the morning with the staff talking to each other on the second floor. Overall it's an okay place. I've had their breakfast and it was great value. location, food, bed sheets changed every 2 days. Friendly staff, good location and good food.